Contracts for US public schools, airports, city, state and military security systems can typically be obtained. This can be extremely useful if you want to understand what was selected or who 'won' a project (see our reporting on contracts in Pennsylvania, Dallas and Miami). However, the process of doing so is not well known. In this tutorial, we explain the step by step process of how you can do this efficiently, quickly and without any fees. 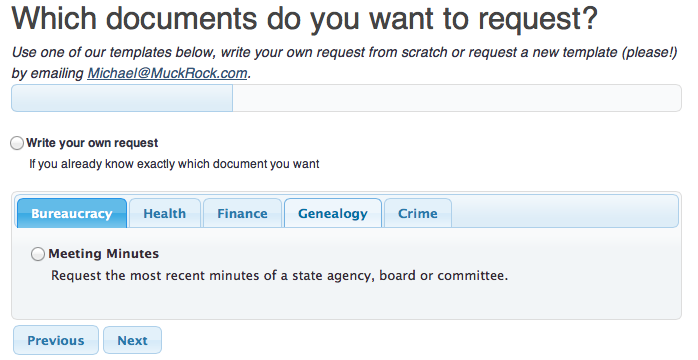 A set time by which the agency must respond (This means respond to your request, not provide the documents). Some variation of exemptions (The most common we have seen are exemptions for documents that are part of an ongoing investigation, documents that contain national security sensitive information and personnel files). An outline of the appeals process (If your request is rejected and you feel the information should be public, you can appeal). Set fees for research and providing the documents. In journalism and law circles, the process is simply referred to as 'FOIA' (for both federal and local requests). We use a FOIA tool created by Muckrock News. 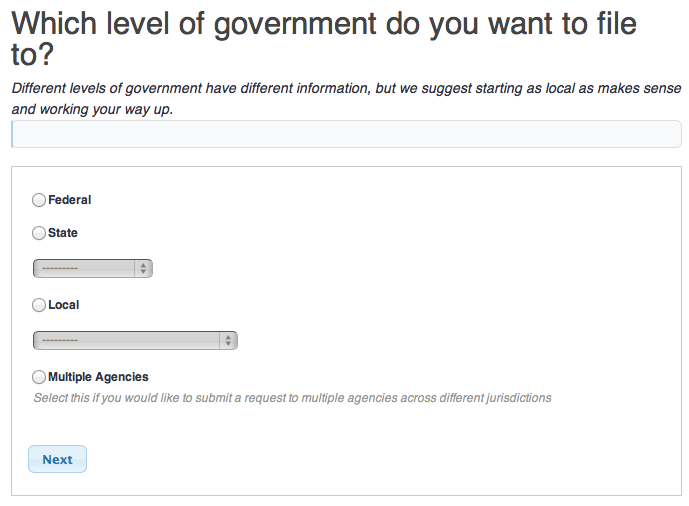 Muckrock has a FOIA request service that combines a large database of federal, state and local agencies, with a letter generator that lets you create requests and send them right from the website. If the agency only takes requests by mail, you put in the information and Muckrock mails it for you. You can also use it to track your correspondence with the agency and see where your request is along the process and to browse other requests and documents that have been released government agencies. The service was free in the past, but now has tiered plans based on the amount of requesting you think you will be doing. You can pay $20 to file 5 requests or file 20 requests per month for $40 (using the latter plan, the requests do not roll over to the next month). Keep in mind that when you submit a FOIA request, that becomes public record too. So technically someone could send a request for all your FOIAs. Journalists sometimes do this to other news organizations do see what they may be working on, and businesses often do it to keep track of competitors. In fact, a First Amendment attorney once told me that most requests do not come from the media, but from businesses checking on other businesses. Know if the agency has a specific FOIA or public records office. The process takes time so getting it to the right person the first time will cut days or weeks off your response. If the agency does not have a designated office, then send it to the city or state's official address c/o whatever office would have the record (procurement, accounting, housing, etc.). All federal agencies have a designated FOIA contact. In one case, sending the FOIA to the mayor's office instead of the designated records officers resulted in a rejection. The document I was requesting was a city document (the mayor's expense report), but because the city had a designated records office, the "agency" was technically the records office not the mayor's. 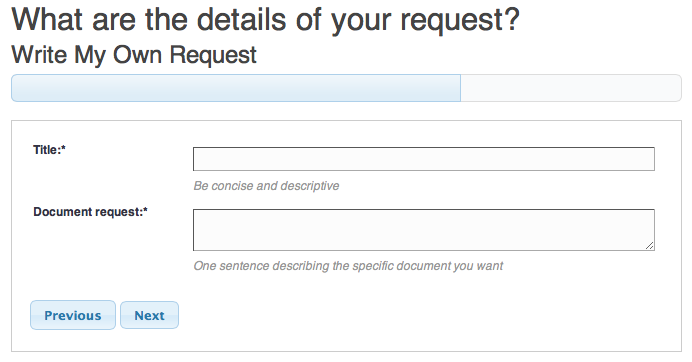 Make your request specific and know the document you are requesting. The more detailed you can be, the better. If you know a project or RFP number, use it. If you know the date of the contract, include that too. Anything to help the records officers find a document will make the response more timely and make it less likely for your request to be rejected for being to broad. Many public records laws say a document that does not exist does not have to be created to fulfill a records request. For example, a request for a bidding summary may get rejected or marked "no responsive documents" if the agency does not compile the bids that way. In that case, you can request each bid individually. Look at city council minutes. Often municipal projects must be approved by city council and documents submitted to city council become part of the public record. In some cities, project proposals and contracts must be approved by council. You can find the documents in the minutes or use the minutes to find out their official name so you can request them later. Some agencies will reject requests if the documents are available online (even if they are extremely difficult to find). Copies of many federal contracts are available online at FebBizOpps. Response time (when you actually receive the documents) varies. Federal agencies are the slowest to respond. I know journalists getting responses back now for requests they filed three or more years ago. On a state or local level, in my experience, the response time is usually between 15-90 days. There are certainly outliers. For larger, more complex requests, it is obviously going to take longer to get them back. For requests dealing with security-related information, in some cases the agency has to review the document line-by-line to redact "sensitive" information. Redactions can add a lot of time onto the process, but they will sometimes let you know when that is the reason for the delay. Be sure to check your local laws to see if there is a mandated response time and use that for leverage if the process is taking too long. If you have a large request, consider breaking it into separate requests. Some agencies do not charge for less than two hours of research per request. Instead of sending a single request for five different bids, send five different requests, one for each bid. Agencies that track the time it takes to close requests will appreciate this because it will get their average time down. Agencies that do not get many requests will hate it. Ask the agency to contact you with an estimate. Most are willing to let you know ahead of time what they estimate the cost will be. Sometimes you can negotiate that down. In most cases, you can specify the format you want the receive the records, whether that is hardcopies or digital. Digital is always cheaper, whether on a CD or via email. Even cheaper if you go to an agency with a hand scanner and scan them yourself. Make the documents available to the public. Many agencies, including all of the federal government, have a fee exemption for documents who's release would be in the public interest or made publicly available. Using Muckrock, the documents are made publicly available in a growing database of public records. Keep in mind, this waiver may not work if your are asking for the release of documents about yourself. The Student Press Law Center (SLPC). This is perhaps one of the oldest FOIA request generators on the Internet. This one is good for if you are only requesting one set of documents and do not plan to do any serious tracking. Input your information and the information you are seeking, print out the letter and mail it to the correct agency. FOIA Machine is a similar tool, funded by the Knight Foundation that just recently went online. Just let us know in the comments or email Carlton (carlton@ipvm.com) and we can assist. Comments (1) : PRO Members only. Login. or Join.